Only in Utah does it go from freezing cold weather with a foot of snow on the ground one day to 60 degree weather with no snow the next day. That's what this week has been like. 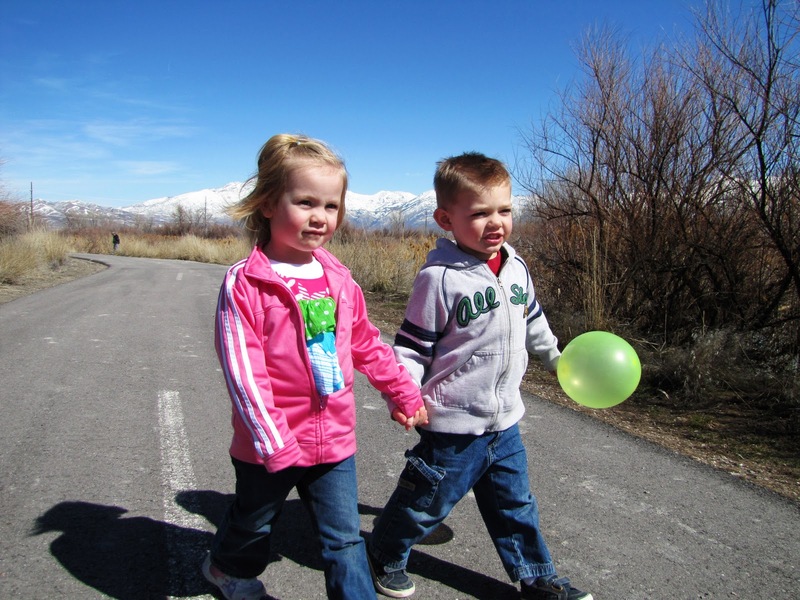 Yesterday was a 60 degree day, so we drove out to visit Bryson's cousin Brock and ended up going on a walk to a nearby park. On the walk, Brock's cousin Kaylee, who Rachel babysits on Thursdays, saw a bug and got scared. She stopped along the trail and started to cry. Without hesitation, Bryson ran right over to her, grabbed her hand and said "it's okay!" and walked with her the rest of the way. It was so sweet of him! 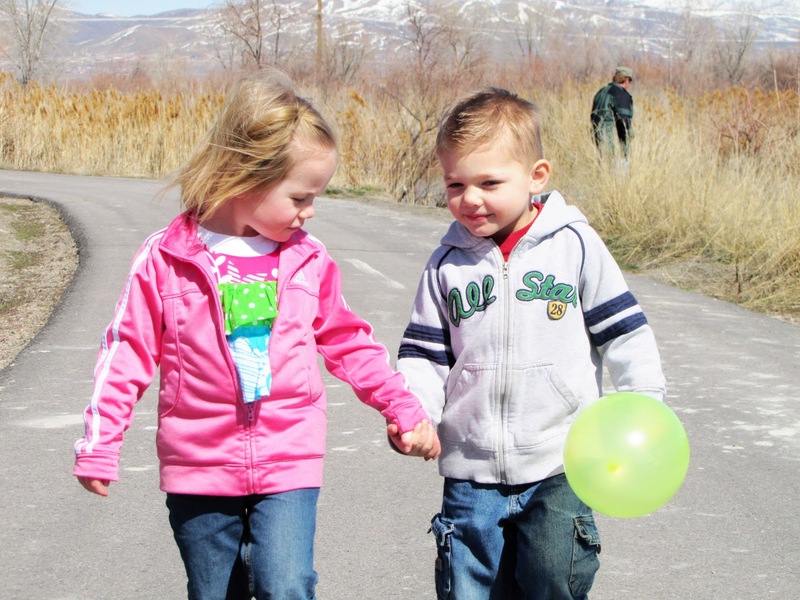 As they walked, they had the cutest little 3-year-old conversation you've ever heard. Here are a few clips of their play time at the park.